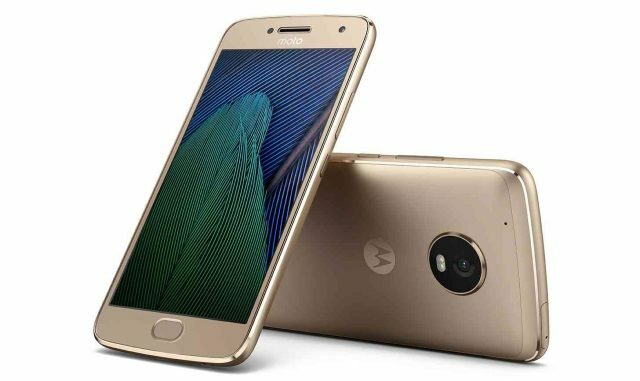 Lenovo owned Motorola just as expected has today at the MWC introduced its next generation of Moto G series phones – the Moto G5 and Moto G5 Plus. Both Smartphones like we reported previously are only similar in appearance , but what they got inside are completely different with the Moto G5 plus leaning toward the High end specs . The Moto G5 Plus on the other hand doubles everything the smaller G5 can boasts of , but for a slightly larger 5.2-inch 1080p display . The G5 Plus comes with a more powerful Snapdragon 625 processor with 2 , 3 ,4GB of RAM options and 16, 32 and 64GB of storage options .In charge of photography is a 12MP camera with dual-tone LED flash, Dual-Pixel Autofocus and a 5MP front camera with OmniVision OV5695 sensor , f/2.2 aperture and powered by a slightly larger 3000mAh battery with Turbo charging . Both Smartphones have a unibody metal design with water repellent nano-coating ,fingerprint sensor and runs Android 7.0 (Nougat) .Both Moto G5 and Moto G5 Plus will hit the stores later in Lunar Gray and Fine Gold colors.